The time for NZHondas monthly meet had come around again. After the issues at last month’s meet the NZH team had made some changes for the better. The biggest being the presence of Police Officers. Personally I think this was a massive step forward as it showed that NZH is very much a car enthusiast club and not just another collection of boy racers. Who said that black and yellow only looked good on a Camaro ironically named Bumblebee? This Integra just dares to be different. The Civic EF9 is gaining quite a following now and why not when they look great by simply lowering them and fitting a nice set of wheels. Out of all the 130 or so cars that turned up, this RX7 was a favourite with its stand out body kit and dished rear rims. The classic Mazda pop up headlights have been replaced with aftermarket “Angel Headlights”. Some cars just look amazing right off the assembly line and the R34 GTR is definitely one of them. A set of simple five spoke wheels do this car so much justice. 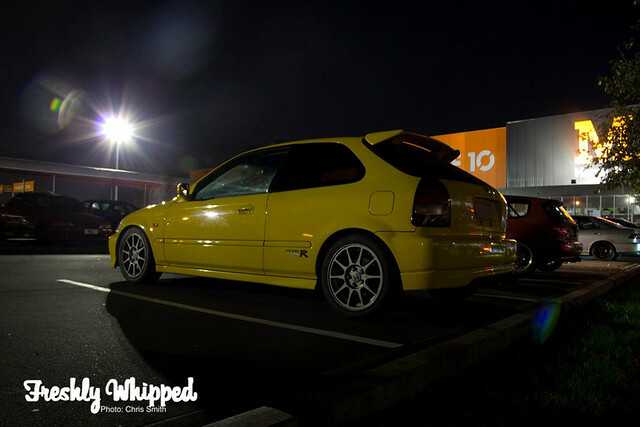 Keeping with the yellow theme, this Type R Civic was very eye catching in the dark Mitre 10 car park and has been kept in great knick too. Like father, like son. Two Accords, quarter of a century difference in age. Was great having an empty car park to get a few shots of these two fine Accords. 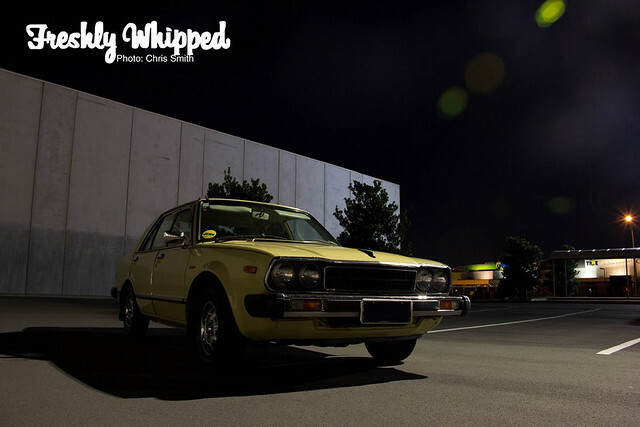 Nigel’s 1980 Accord is a great insight of how Honda has evolved over the years. Some cars are just better left stock, especially when they are of this age and in this condition. It was once owned by a lady for 27 years before moving to a dealer, onto a car collector and then finally onto Nigel. With only 94,000km’s it’s a pristine car. 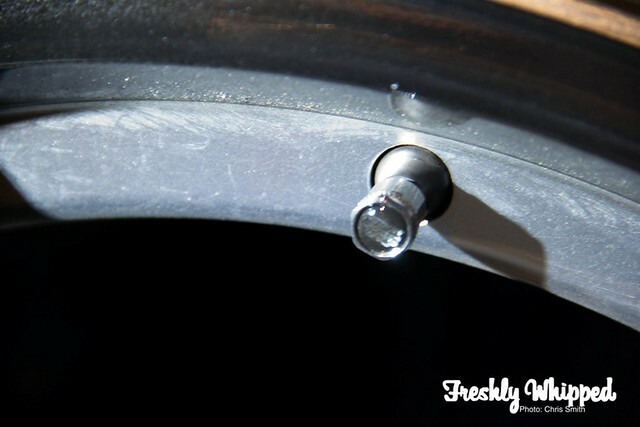 Hugh’s Euro R has a lot of very minute features that make up the car as a whole, like a set of Mugen valve caps. …and to top it off an amazing paint job courtesy of GT Refinishers, plus a little bit of stretch to the tyres. This great, well organised meet is an ode to the management and organisation from the NZH Admins. Top work lads!